Customer Relationship Management (CRM) software is a set of applications, policies and technologies used by companies to manage and analyze customer interactions and data throughout the business relationship. This improves the rapport between businesses and customers, which assists in customer retention and drives sales growth. The CRM system's main job is to collect information on customers, and compile points of contact between the customer and the agency from channels including the website, direct mail, telephone, live chat, social media and extraneous marketing tactics. It also serves as a central repository to track and store the customers' personal data, buying preferences, and purchase history. The CRM software makes it easier for real estate agencies to have access to their customers' information. It amalgamates client data and documents into a single database for easy management. To stay up-to-date with all transactions, the real estate CRM software keeps track of interactions between the business and the clients (e-mails, phone calls, social media activity), automates workflow processes (tasks, calendars, and alerts), plus tracks performance and productivity. Marketing Automation: Repetitive tasks are automated to boost marketing efforts to customers at different stages of the relationship. Salesforce Automation: This prevents duplicate communication between a salesperson and a customer. The real estate CRM system helps by automatically tracking all contact and exchange between parties. Geolocation Technology/Location-based Services: Some real estate CRM systems can create geographic campaigns based on clients' location. Also, geolocation is used in networking and contact management to find prospective customers based on location. Real estate agencies and brokerages choose the type of CRM that best fits their needs, especially with the security and maintenance of their data. There are two ways they can choose to implement a CRM system. On-premises CRM: With this type of CRM, the real estate agency is responsible for the control, security and maintenance of their database. Doing this means that, instead of buying subscriptions, the company purchases licenses up front. The software stays on the company's server, and is responsible for the cost of upgrades. Cloud-based CRM: Also known as SaaS (Software-as-a-Service), this stores data on a remote network that agents can access at anytime, anywhere there is an internet connection. A third party service provider will sometimes oversee installation and maintenance. 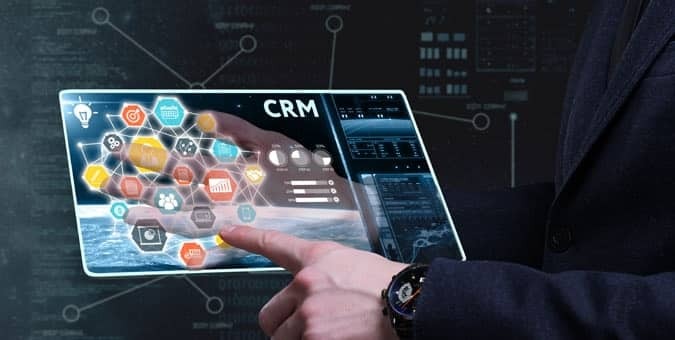 Agencies might see a cloud based CRM as a less expensive option (the cloud is implemented quickly, and its easy utilization appeals to agencies with limited technological expertise or resources), but agencies with more complicated CRMs might find an on-premises deployment model more beneficial. The real estate CRM system helps to manage clients, showings, open houses, closings, and the overall buying and selling process. All of this leads to major benefits to the companies that utilize this software. CRMs for realtors allow better organization, providing a single base to store leads, client information and documents. Automation of task lists, dashboards, workflows, and alerts also helps with organization and keeping agents on task. Furthermore, agents are able to distinguish between immediate prospective clients and those who are not looking to buy or sell. The CRM quickly shows whether or not a client is in the buying or selling process, allowing the agent to either focus on the client or continue the relationship with regular e-mail marketing. The reporting feature of the CRM gives agents a clear look into the sales trajectory. They are able to make the necessary changes to key metrics that aren't showing satisfactory results by finding out the cause. 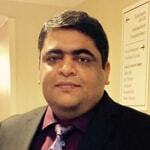 Chetu was incorporated in 2000 and is headquartered in Florida. We deliver World-Class Software Development Solutions serving entrepreneurs to Fortune 500 clients. Our services include process and systems design, package implementation, custom development, business intelligence andreporting, systems integration, as well as testing, maintenance and support. Chetu's expertise spansacross the entire IT spectrum.